Today, the SEC penalised the Tomahawk ICO as a straight-up fraud. Here’s the Order Instituting Administrative and Cease-And-Desist Proceedings (PDF). 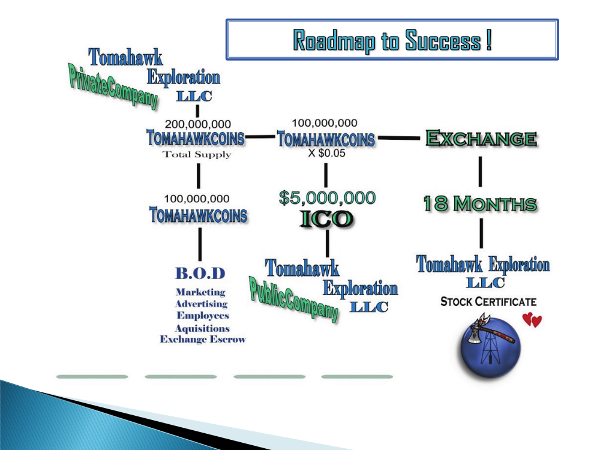 Tomahawk Exploration LLC was a Nevada resource company, founded in 2010. It ran the TomahawkCoin ICO from 30 July to 30 August 2017 — part of the “classic” era of ICOs, when any bozo could and did offer unregistered securities to the general public, but on the blockchain. TomahawkCoin was a tokenised offer of oil and gas resources, selling 100 million tokens on the Waves blockchain. Here’s the Bitcointalk announcement and bounty campaign, with lots of promotional links. The white paper is still up (archive), featuring erratic spelling and grammar and Word 95 clip-art fonts. The plan was to use the ICO takings to turn Tomahawk Exploration LLC into a publicly-traded penny stock, and fund the cost of drilling ten oil wells. ICO token holders would be able to exchange their tokens for shares in the company. 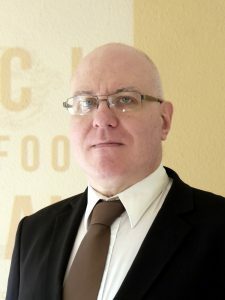 The board members were founder David Laurance, Rick Shadwell — “Rick is always continuing his education, and posts his scientific research papers and articles at www.ShaddockResearch.org such as the study showing that years of practicing Transcendental Meditation (TM) is correlate positively with Critical Thinking Ability (CTA) and open mindedness.” — and Horia Cretan, who has left Tomahawk off his LinkedIn, for some reason. Just to assuage any fears about ICO scammers, the white paper reassures the reader that “We are distinct from Paycoin and other failed promises hidden behind virtual currencies in the past” — phew! The SEC noted (paragraph 16) that “Investors would have been reasonable in relying on Tomahawk and Laurance to generate revenue and potential profit on their behalf” as Laurance had cited his decades of experience in the area — though most of that was in repeated business failure, and the occasional criminal conviction. The oil and gas, it turned out, didn’t exist. 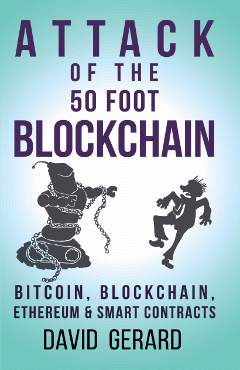 And Laurance had been convicted in 1993 of mail fraud concerning penny stock companies — per chapter 4 of the book, crypto scammers often turn out to be serial scammers — which made representing himself as one of a group of “refined successful citizens with flawless backgrounds” a material misstatement. a $30,000 fine, to be paid in installments over three years. 33. The ICO and Bounty Program constituted an offer of securities under Section 2(a)(3) of the Securities Act because it involved “an attempt or offer to dispose of, or solicitation of an offer to buy, a security or interest in a security, for value.” The distribution of TOM pursuant to the Bounty Program constituted sales under Section 2(a)(3) of the Securities Act, which applies to “every disposition of a security or interest in a security, for value.” The lack of monetary consideration for “free” shares does not mean there was not a sale or offer for sale for purposes of Section 5 of the Securities Act. Rather, a “gift” of a security is a “sale” within the meaning of the Securities Act when the donor receives some real benefit. See SEC v. Sierra Brokerage Servs., Inc., 608 F. Supp. 2d 923, 940–43 (S.D. Ohio 2009), aff’d, 712 F.3d 321 (6th Cir. 2013). 34. Tomahawk received value in exchange for the bounty distributions, in the form of online marketing including the promotion of the ICO on blogs and other online forums. Tomahawk also received value in the creation of a public trading market for its securities. See Sierra Brokerage, 608 F. Supp. 2d at 940 (“where a ‘gift’ disperses corporate ownership and thereby helps to create a public trading market it is treated as a sale”). Here, Tomahawk issued tokens as part of the Bounty Program to generate interest in the ICO, which benefited Tomahawk. Distribution of tokens that are securities in exchange for promotional services to advance the issuer’s economic objectives or create a public market for the securities constitute sales for purposes of Section 5 of the Securities Act and Section 10(b) of the Exchange Act and Rule 10b-5 thereunder. That is — a promotional giveaway of securities gets you promotion in exchange, and this constitutes a sale. “Well yeah,” you might say. But it’s new that the SEC is nailing this point down for ICO tokens in particular. Note, by the way, that Tomahawk didn’t sell any tokens — but they did distribute the bounty tokens. This was enough to do for them. Airdrops — where a token is distributed free to holders of another token, or to anyone asking — aren’t named in the order. But airdrops are functionally promotional gifts in nature, and I’d be amazed if the SEC wasn’t looking into nailing that one down too. An administrative order is not a legal precedent. But the legal analysis portion of an administrative order is a lot of the way to a legal filing — these are the facts, these are the rules, these are the precedents, this is how the SEC would start in court. You could ignore it — but do you feel lucky? 23. On July 27, 2017, in response to the Commission’s DAO Report, Tomahawk published an article online titled “Tomahawkcoin ICO Adjusting to the SEC, by Legally Avoiding Them.” That article incorrectly stated that Tomahawk’s ICO would be exempt from securities regulation because the Company was abandoning its plan to be quoted on the OTC market. Don’t forget: “I believe every ICO I’ve seen is a security,” SEC chairman Jay Clayton told the US Senate hearing on cryptocurrencies.